The main target groups and beneficiaries of HWC are the village communities within Haku Constituency, the most densely populated constituency in AROB with over 45,000 people. HWC also works with HWC networks; partners within the Bougainville Women’s Federation; several partner CSOs, Government Departments and International Non Government and Faith Based Organisations to provide advocacy, training, and services to other parts of Bougainville. SPLP (Stret Pasin Lukautim Pikini) Positive Parenting programs plus train-the-trainer to partners to take this program to the rest of Bougainville. FASV (Family & Sexual violence) Meri Seif Haus & Family Referral Centre. 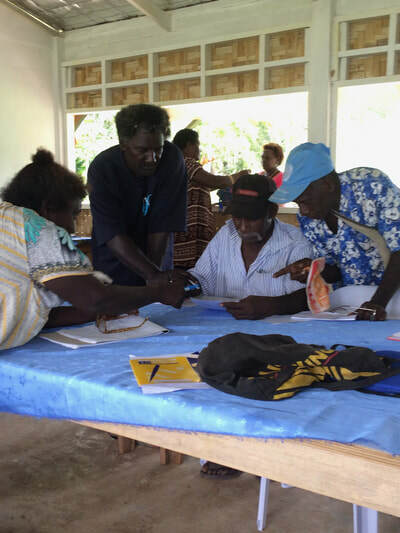 Disability Program addresses the needs of people with disability in Haku. Since June 2018, HWC assisted in formation of the ‘Haku Hatsipito Disability Organisation’ and continues to support the HHDO with free use of HWC resources. 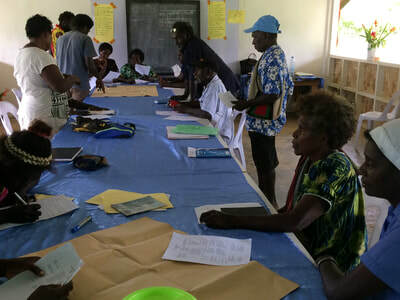 HWC is a member of the Autonomous Region of Bougainville Technical Working Group chaired by the Department of Community Development and is working in partnership with the Centre for Disability Studies (CDS Unit) of the Sydney University Medical Faculty Research School to plan a ‘Hub and Spoke’ Community Rehabilitation model for possible expansion throughout Bougainville. Art and Culture Program is coordinating ten women artist communities & lead artists across Bougainville with QAGOMA, the Queensland Art Gallery of Modern Art: Asia Pacific Triennial –(APT9) in a project known as ‘WOMEN’S WEALTH’ exhibition. 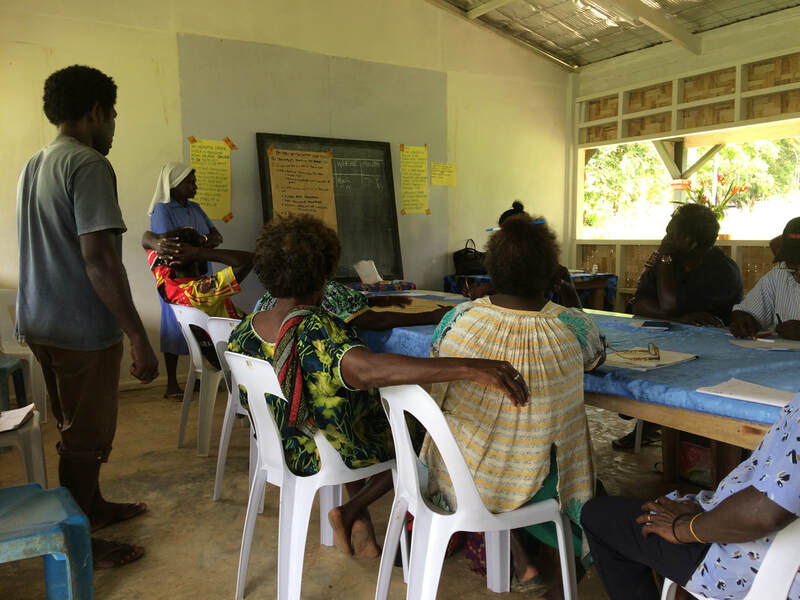 HWC Human Rights Program, in partnership with the Bougainville Women Human Rights Defenders Network (BWHRDN), is developing projects in each Community Government Ward. HWC organises or assist with organising community celebrations for international focus days such as Literacy Week, International Women's Day, and World End Poverty Day in the Haku community.​ These are an important means of raising awareness of the issues and helping people work together to solve problems locally.